Back home in California, they call me fish. In everyone’s phone contact, they have a tropical fish emoji after my name. It has become an intrinsic part of my identity in the downhill skateboarding community and I wanted to share that value on these patches for our class shirt. 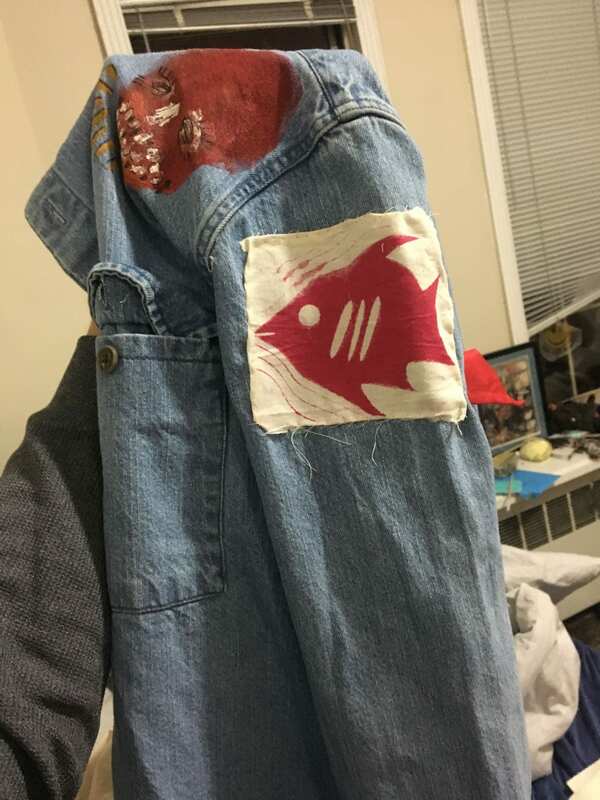 I have a jacket covered in patches I attached by hand with dental floss. I always sewed that way because that’s what I learned from the Bay Area’s punk DIY scene. 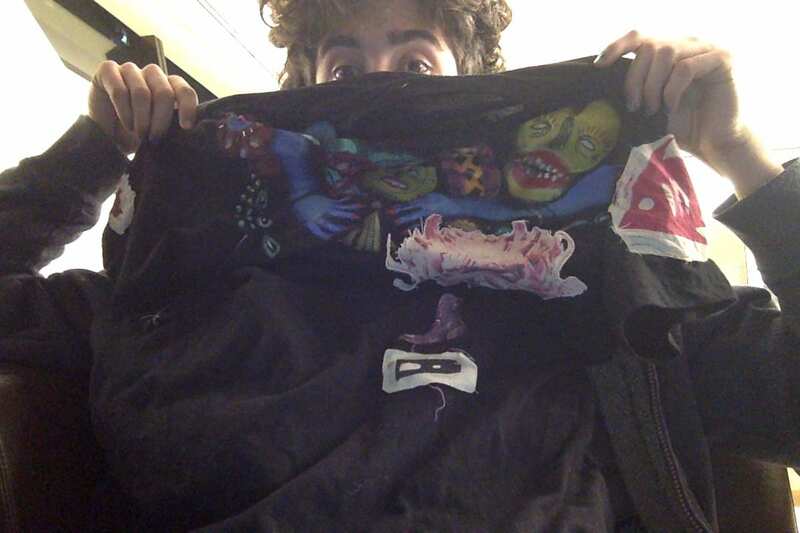 I thought it would be fitting to sew these patches with dental floss and by hand because that is the type of attention and care I take to my own clothing alterations. I screen printed the fish onto the leftover cotton muslin I bought for my drawstring back a few weeks prior. 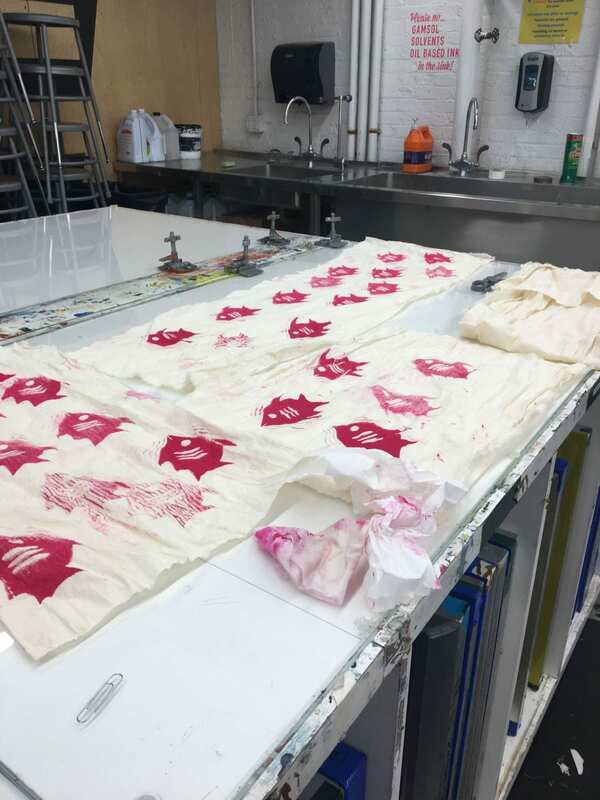 At first, it was difficult to apply the right amount of pressure to get a clean patch, but with enough time to practice and make a few mistakes, I screen printed enough patches for the class with extras for myself. It took about four hours to apply all the patches by hand. 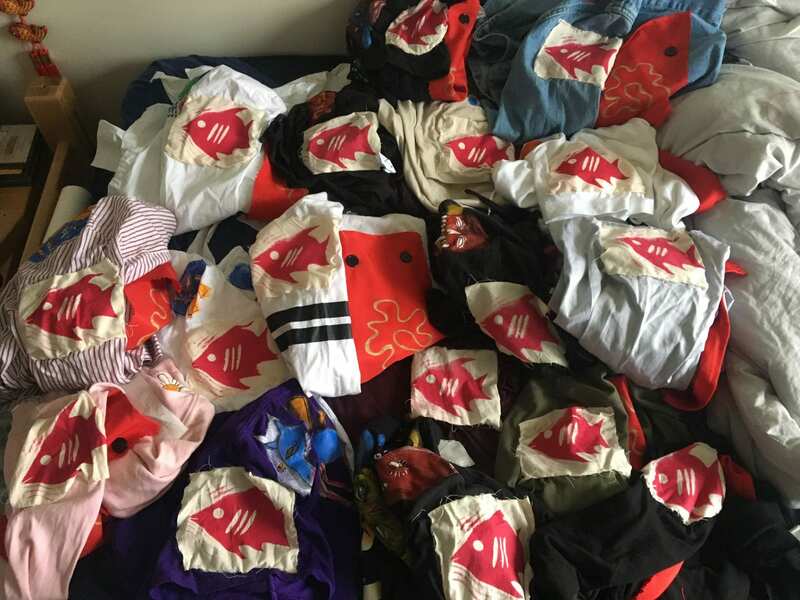 The experience of hand sewing each patch was monotonous, but incredibly rewarding when I had every shirt laid out with my fish patch attached with dental floss on each one. 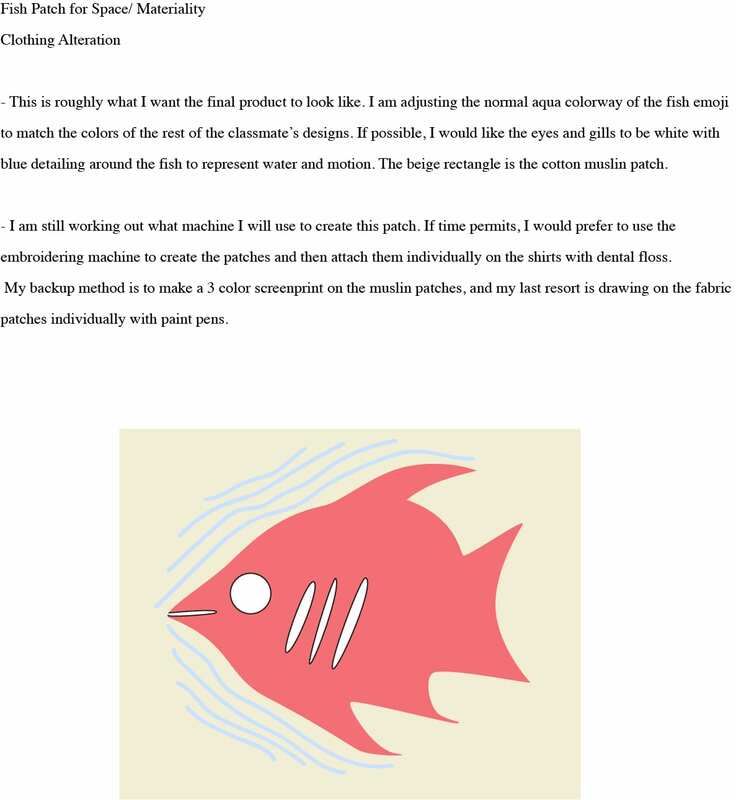 I really enjoyed this assignment and I feel like the physical alterations put me in a different headspace for alterations I could do to my own jacket. Since we worked together well as a class to organize the shirt spatially and aesthetically, the finished shirts were a relic of our class’ creations while also a wearable piece of art.